One advantage of using iPhone is that you can record various activities in the Note app. Mostly, iPhone notes replace the traditional journal of important events in our lives. It will be of immense help if you can back up all the notes on iPhone and have them stored in other places to keep a journal of your activities. 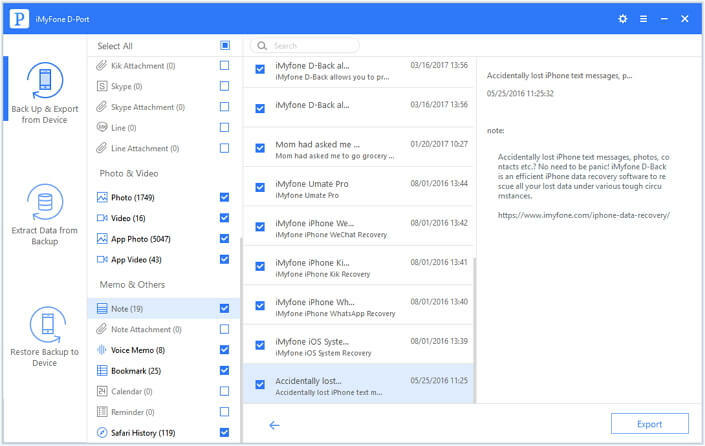 This article will guide you on how to back up your iPhone notes for free so you need not worry about missing your notes when you change your phone. 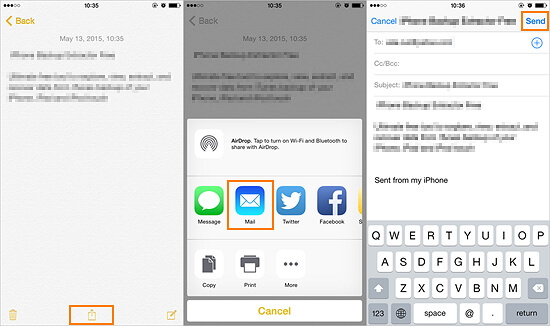 You can back up your iPhone notes for free by manually sending the notes via email service. How to do that? Just follow the steps below. Launch your iPhone Notes app and open the note you need to back up. Tap the Upload icon in the upper right corner on the screen. Choose Mail option to enter the email address and click "Send". If you need to use the notes, just go to your computer and download it from received email. But as you can see, if you have not a few of notes to back up, the method may be time-wasting. An easy way to back up your iPhone notes for free is through Apple’s Cloud service. With the following steps you can accomplish the process. 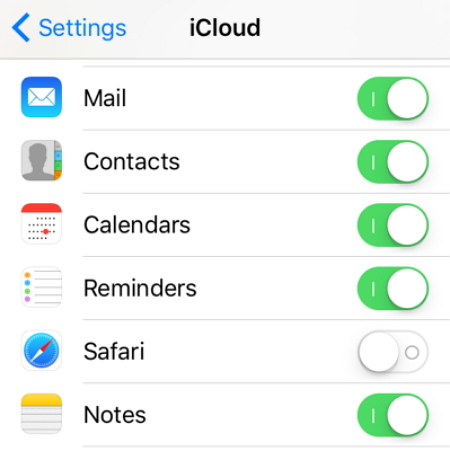 On your iPhone Settings, sign in using your iCloud account. Go to iCloud > Notes and switch on the toggle button. The notes on iPhone will be automatically loaded to iCloud. If you need to check the notes in iCloud, you can go to iCloud.com and log in your iCloud account to access your notes. You can also back up your iOS device via Apple’s free iTunes service and all the data, including notes on iPhone will be stored in the iTunes backup. The method prevents loss of your notes and other data in case you lose or replace your iPhone. Go through the steps below. Choose your iPhone when the connection is established. Click "Back Up Now" under the Backups option. If you want to keep your data encrypted, check "Encrypt iPhone backup" and set up passcode for your iTunes backup. 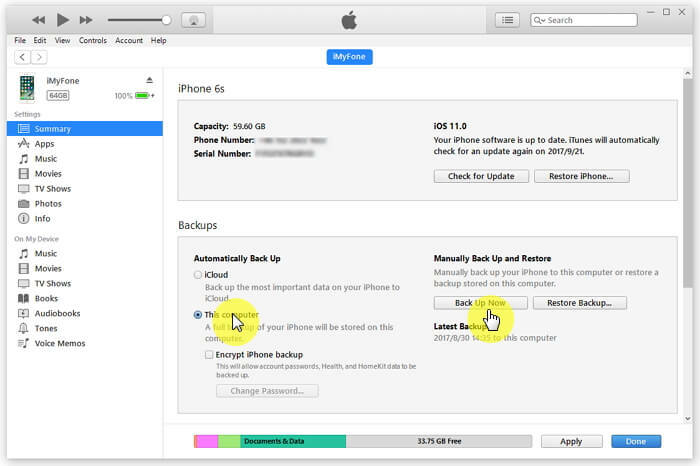 After that, go to Edit > Preferences > Devices to confirm whether your iPhone is backed up completely. But you cannot view your notes in the iTunes backup unless you restore the whole backup to one iOS device. Using email sync feature, you can freely sync your email, contacts, and calendars with your iPhone. Apart from syncing email, contacts and calendars, you can also back up your iPhone notes by syncing them with your email account. Refer to the steps as shown below. Go to Settings. From the list select Mail > Accounts and choose the email type you are using. Enter your details for the email account. After it’s completed, make sure to turn on the “Notes” option in the next screen. You can log in your email account and access iPhone notes which have been synced. Here we introduce another method to help you back up your notes and other 20+ types of data from iPhone to computer. iMyFone D-Port iPhone Data Exporter is an excellent tool which can export and extract data from iPhone, iTunes backup and iCloud backup. 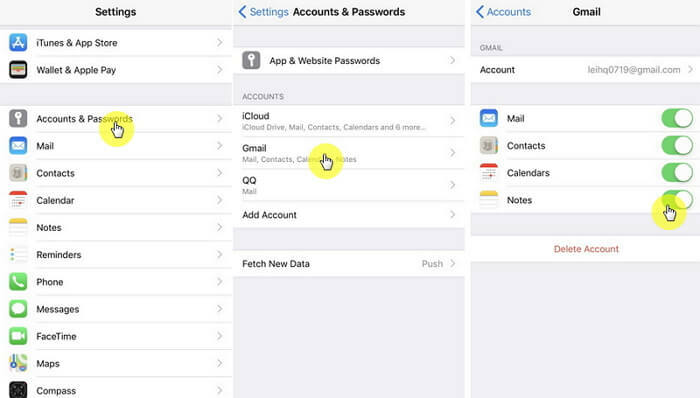 It comes with the following features to help you deal with your iOS data. Selectively back up the notes you need only and ignore the unimportant ones. 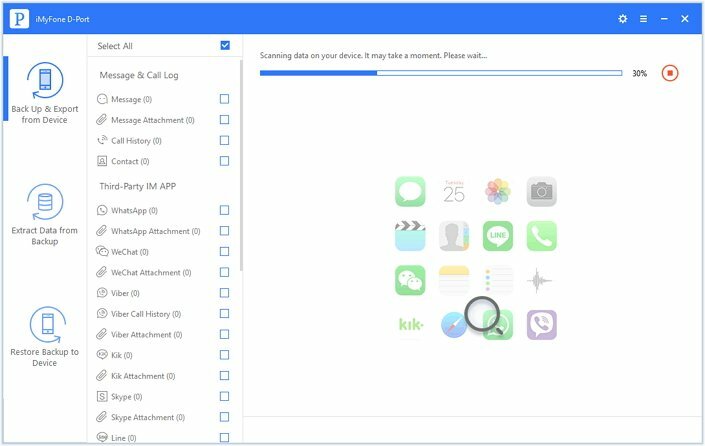 Back up data from your iPhone, iPad and iPod touch running iOS 10/9/8/7, even the latest iOS 10.3.1.
iMyFone offers Free Trial version to help users view files on iOS devices and backups. How to Back Up iPhone Notes to Computer via iMyFone D-Port? You can selectively back up your iPhone notes to PC/Mac using the transfer tool by following the steps. Go to iMyFone official download center to download the app. Open it and from the "Export from iOS Device" option to click "Start" button to select the file type(s) you need. You can check “Note” or all the data types. Then connect your iPhone to the software, click "Scan" so iMyFone D-Port will scan and find the notes on your iPhone. It may take some time which depends on the storage of your iPhone. The program will list out all notes found after scanning, you can look through the list to select the notes you want to export. Finally, click "Export" button to store the notes on your computer. With the above methods, you can back up your notes on iPhone without any charge. 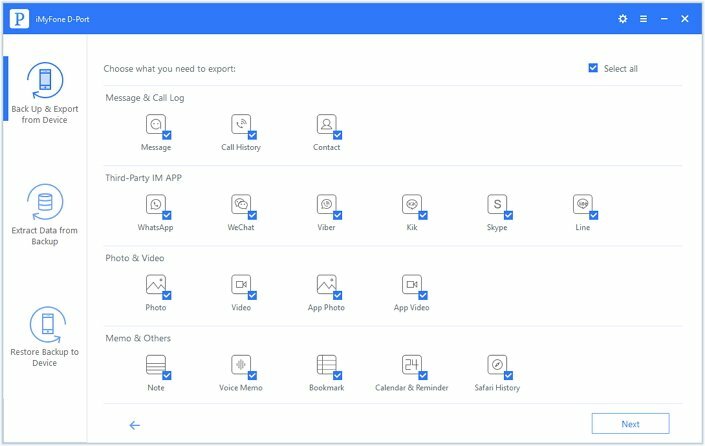 And with iMyFone D-Port, you can conveniently view and use your data in iPhone, iTunes backup and iCloud backup, don't mention that the program offers free trial version to both Windows and Mac users. Try it now!